A retracement in volatility during 2014 supported trading volumes at derivatives giant, CBOE, the US-based venue reported metrics for 2014. The exchange continued to show record activity with 2014 being the fifth consecutive year of solid performance. Global financial markets have welcomed positive moves in equities as investor sentiment develops. The exchange reported that annual trading volume for total exchange-wide activity and for futures on the CBOE Volatility Index (VIX Index) reached new all-time highs in 2014, with multiple trading records set during the year. Details issued by the venue state that volumes were showing a cumulative increase and trend in the green zone, with activity increasing for a fifth consecutive year, trading volume in VIX futures setting a new annual record. A total of 50.5 million contracts were transacted at the venue throughout 2014, thus showing a jump of 27% from the 39.9 million contracts traded in 2013. The venue also reported that the number of transactions executed on a daily basis was positive; its average daily volume (ADV) in VIX futures was 200,521 contracts in 2014, also a fifth consecutive annual record, and up 27% percent from the ADV of 158,508 contracts in 2013. New records were set during the year for single-day, weekly, monthly, quarterly and annual trading Volumes for VIX futures. 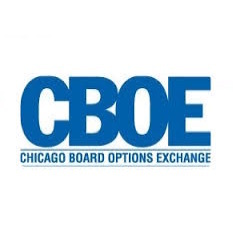 Records continued exchange-wide trading at the CBOE with a new annual record of 50.6 million contracts, up 26% from 2013. The average daily volume at CBOE reached a new high for a fifth straight year in 2014 with 200,854 contracts per day, up 26 percent from 2013’s ADV. During 2014, the CBOE passed several records, the top five, and seven of the top ten, highest volume trading months in the exchange’s history occurred during 2014. The venue also enhanced its offerings for traders, in June; the exchange has expanded trading of VIX futures to nearly 24 hours a day, five days a week. The troublesome month of December saw a spike in activity at the CBOE with December’s figures surpassing the previous months by 87%, thus indicating the impact of volatility.